Winchester Center lies about 4 miles southwest of Winsted, or approximately 6 miles northeast of Torrington, at the intersection of Route 263 and Newfield Road. 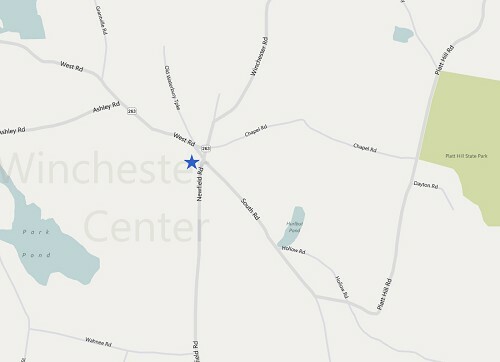 From Winsted, take Route 263 to the Winchester Center green. From Torrington, take Newfield Road (at the corner of Winsted Road and North Main Street) to the Winchester Center green.